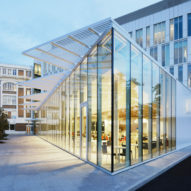 Jean-Paul Viguier et Associés was tasked with renovating a pair of existing buildings and introducing a new secure facility for the Banque de France, which is expected to handle over a billion banknotes. 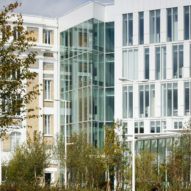 The Paris-La Courneuve Fiduciary Centre is located on the site of the former Babcock & Wilcox factory, in the Seine-Saint-Denis district of northern Paris. 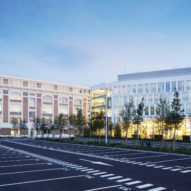 Bordering a motorway, the four-hectare industrial site had been largely disused for the past few decades, and the decision to locate the bank's fiduciary centre is part of a wider renewal of the area. "The Fiduciary Centre creates a dialogue between each entity of the area but also with a wider environment," said the architects. 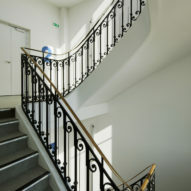 "It is a question of an architectural openness of a site of which the primary function is precisely to be fully sealed." Central to the architecture project is a 26-metre-high tower described by the architects as a safe. The tower and two adjoining cubic volumes are clad in white metal, with varying surface textures to help to break up the monolithic masses. 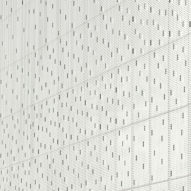 The facades of the largest structure are formed from perforated panels that produce a subtle pattern of light and shadow. 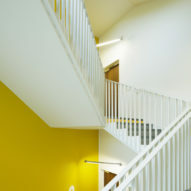 The effect changes throughout the day, depending on the amount of sunlight falling on the surfaces. 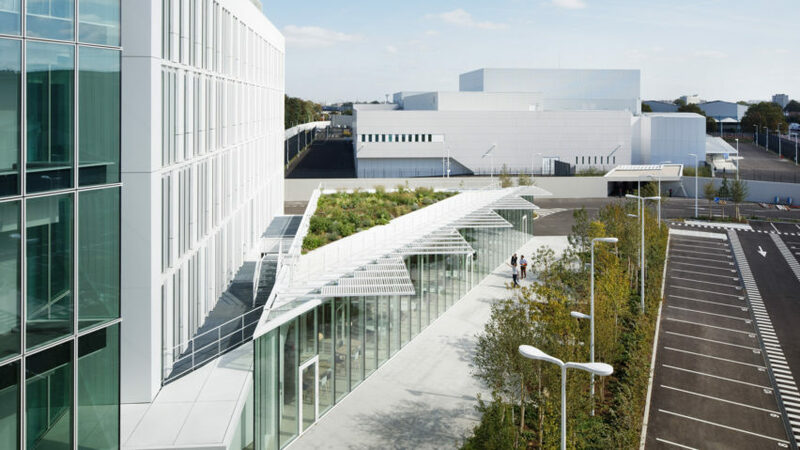 The patterns and textures of the cladding are intended to mitigate the robust and defensive character of the buildings, which was a key aspect of the overall brief. 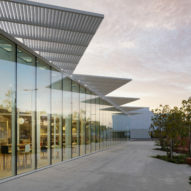 The solid structures housing the secure areas are arranged around a triangular patio that provides staff with a secluded outdoor space. 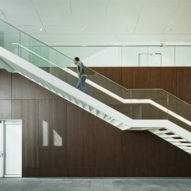 The central void is also lined with windows that allow daylight to flood into the surrounding rooms, including a circulation space and foyer with a staircase ascending along one side. At the corner of the site, a new car park is flanked by the existing Babcock buildings, which were constructed in 1923 and 1987. 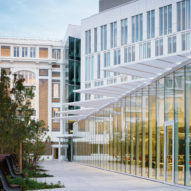 These two structures facing the new facility have been converted into offices and are linked together to form a unified building that is accessible to the public. Jean-Paul Viguier et Associés is also currently working on a competition-winning project for a trio of timber-framed towers in Bordeaux's St John Belcier district, which is part of a new urban development overseen by Rem Koolhaas's studio OMA. Photography is by Takuji Shimmura.